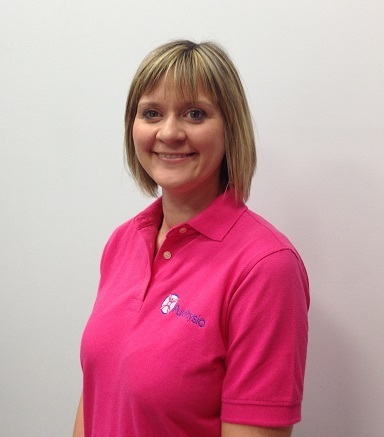 I graduated from Glasgow Caledonian University in 1997 with a BSc (Hons) in Physiotherapy. I went on to complete an MSc in Physiotherapy in 2004 and have since obtained my Diploma in Orthopaedic Medicine and am qualified in Injection Therapy. I have worked at St John’s Hospital for 19 years as a musculoskeletal specialist and have held the role as Team Lead of a large outpatient department for 17 years. Prior to PurePhysio, I worked as part of another private physiotherapy clinic for 4 years. I also have experience of working with a variety of sports teams, including a Scottish Premier 1 rugby team, Scottish schools athletics and club and national gymnastics. I have gained extensive experience in the management of orthopaedic and musculoskeletal conditions, from the client struggling at work with low back pain to the elite athlete. I have worked in the Sports Medicine Clinic at St John’s working alongside Sports Medicine Doctors and have experience in working in an extended scope role within orthopaedic clinics. In the past I have been in charge of the rheumatology and hydrotherapy service and am qualified in the use of acupuncture for pain relief. A large part of my current role involves the rehabilitation and management of lower limb, shoulder and sport related injuries as well as the treatment of clients with acute and chronic spinal pain. Continuing to develop my knowledge and skills has been important throughout my career. I have completed extensive postgraduate education in a wide variety of areas which include Soft Tissue Treatment, Trigger Points, Ultimate Knee Rehabilitation and a variety of sports courses and seminars. I have also lectured to other physiotherapists on weekend post graduate education courses on the Management of Shoulder Pain and Rehabilitation of Musculoskeletal and Orthopaedic Injuries. Outside work I have 2 young children who certainly keep me busy. I enjoy cycling and attending gym classes. I used to be involved in gymnastics and trained at National Squad level and continued my involvement in sport by taking up athletics and competing in the heptathlon.